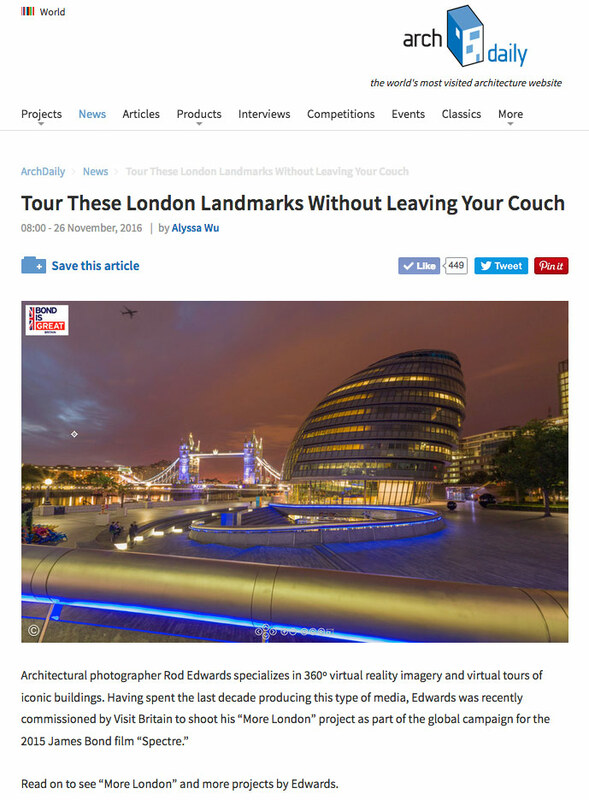 I’m very excited to have some of my commissioned 360 imagery featured and profiled in Arch Daily. With over 10 million readers each month Arch Daily is the world’s largest online prestige architecture magazine. My 288 megapixel high resolution 360 stills imagery is perfect for sharing prestige architectural and interior design projects around the world with just the click of a mouse. Traditional stills photography and video have their uses, but 360 imagery is able to convey the experience that was envisaged when architects first designed the space. Take a look here : Click Me!